Discussion in 'Specific Manga Discussion' started by chad28, Mar 29, 2017. Come in here and post if you are. I'm really liking this next work from the author of Soul Eater. What do you think about it? Who is favorite character? I really like the artwork of the manga and its unique setting,i just started reading it(chapter17) and i really enjoy it.As of my favourite character Arthur. Yeah Arthur is pretty cool. Did you read or watch Soul Eater? I've read tha manga of soul eater one of my favourites! The new pillar doesn't seem ok with killing people for no reason. 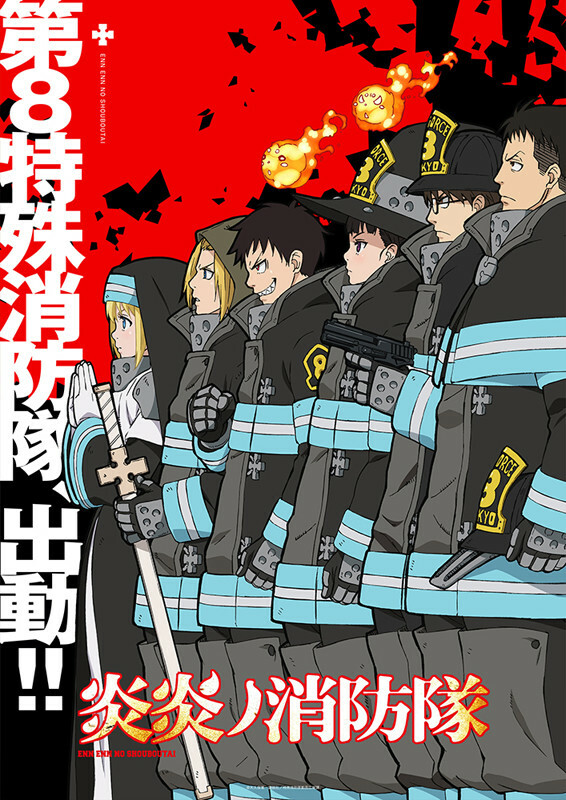 Fire Force will have an anime in 2019.